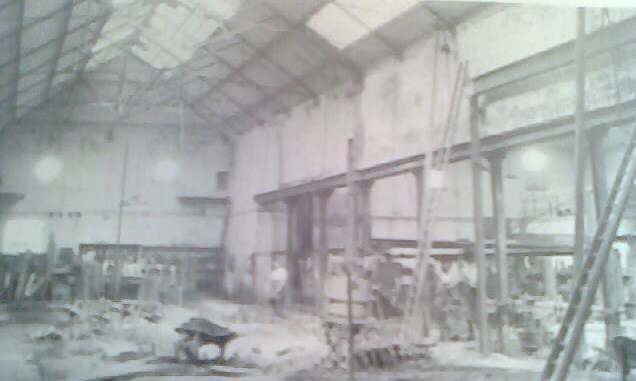 The original Iron Foundry was placed in the south west corner of the original engine shed. In its early years it may not have been used much. But when the carriage and wagon building started the foundry was used more for the casting of wheel and maybe for the casting of rails when the works expanded. B y 1880 the work in the foundry must have increased a lot as the works built a new bigger foundry at the north east of the engine shed. Coppers where set in the ground the iron was then melted and poured in to the molds. There were also 2 cranes in the middle of the foundry to help move the molds. In 1939 new furnaces were constructed and the foundry was reconstructed in the 1940s. 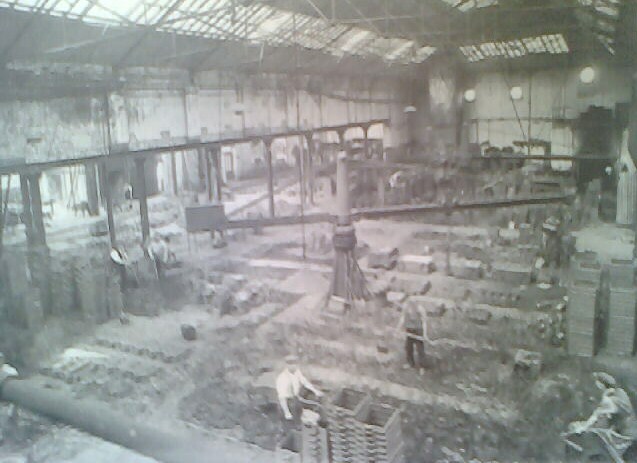 In 1959 casting ceased and in 1969 the foundry building was pulled down.